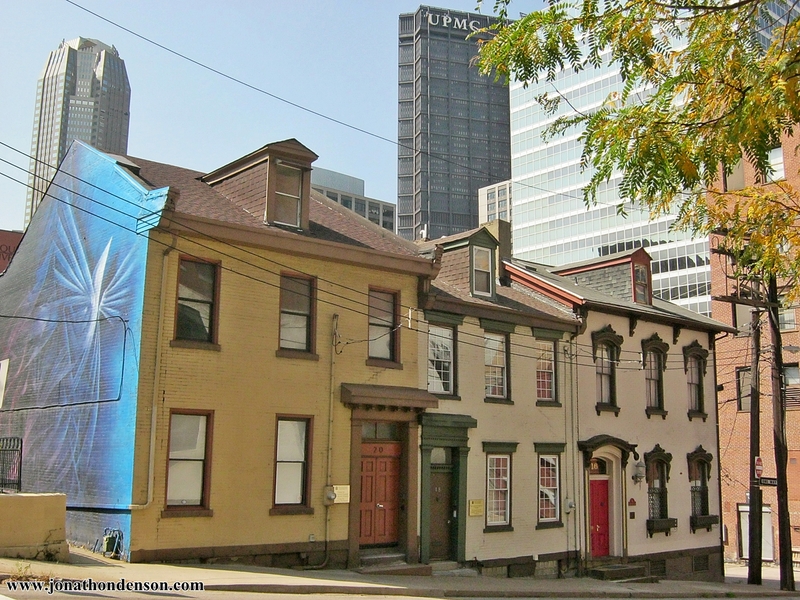 The Uptown section of Pittsburgh has the distinction of being adjacent and walkable to downtown Pittsburgh, and has the added distinction of containing a residential section with some of the city's oldest surviving houses. 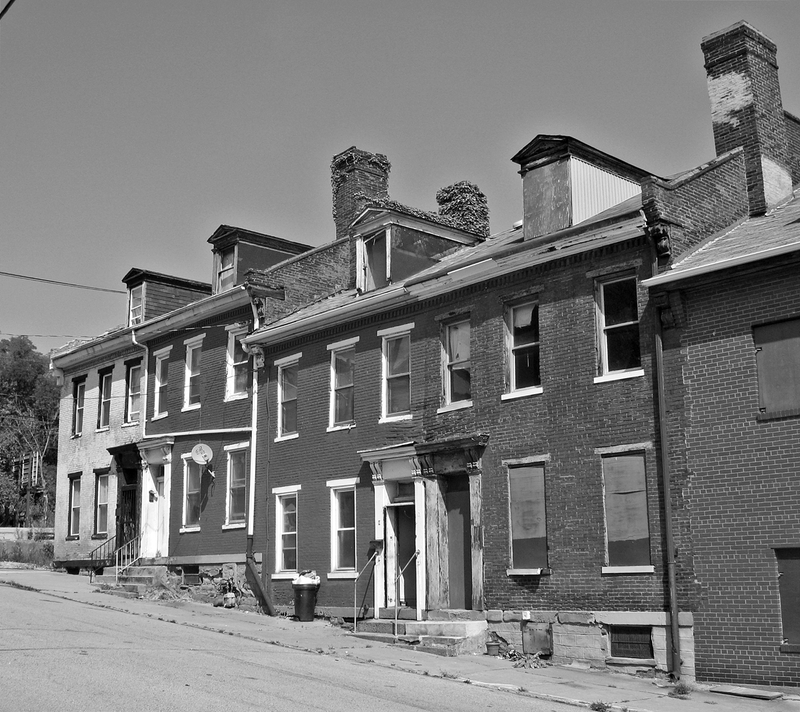 When the Lower Hill was demolished as part of a mid-century urban renewal project, Pittsburgh lost its greatest and most historic neighborhood adjacent to downtown (downtown being the original and oldest part of the city). 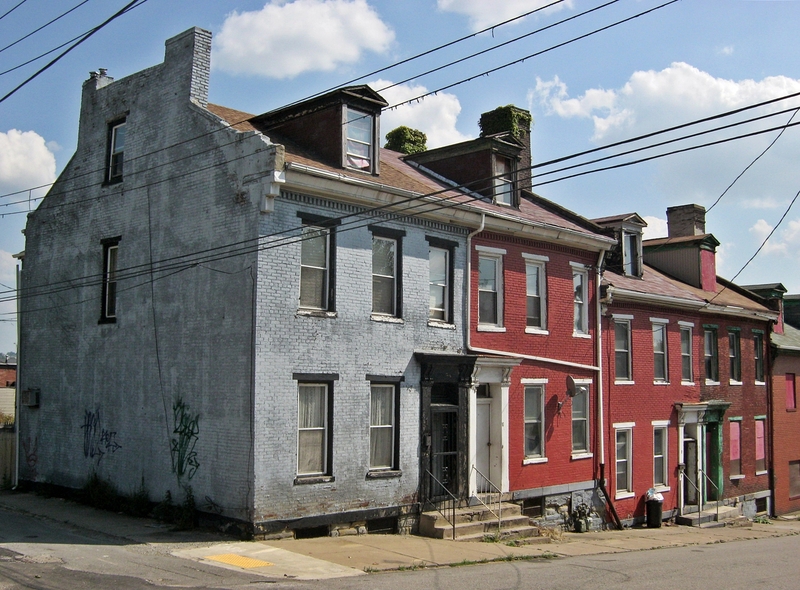 However, the Strip District and Uptown remained, and today are dotted with the remnants of the historical residential neighborhood that has gradually been eroded by parking lots, hospital expansions, university expansions, and the blight of the modern age. 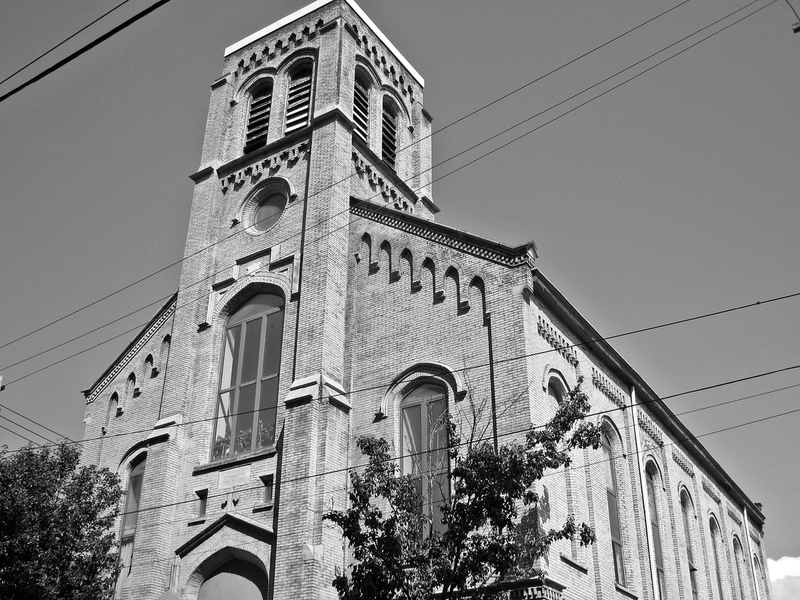 Uptown is our focus here, and still contains some very old houses. Since I moved to Pittsburgh in 2007, I have seen countless architecturally and historically valuable homes demolished in the Uptown section of the city. Some were demolished for parking, others were lost due to the city's backwards demolition program, which encourages houses that are abandoned and tax delinquent to be relegated only to demolition lists, instead of given a new life with new owners! One can only imagine how many homes even older than these might have been lost over the decades. Here we have surviving pieces of a puzzle that was once a walkable downtown residential neighborhood; a neighborhood that was deemed unfashionable and, for the most part, thrown away. 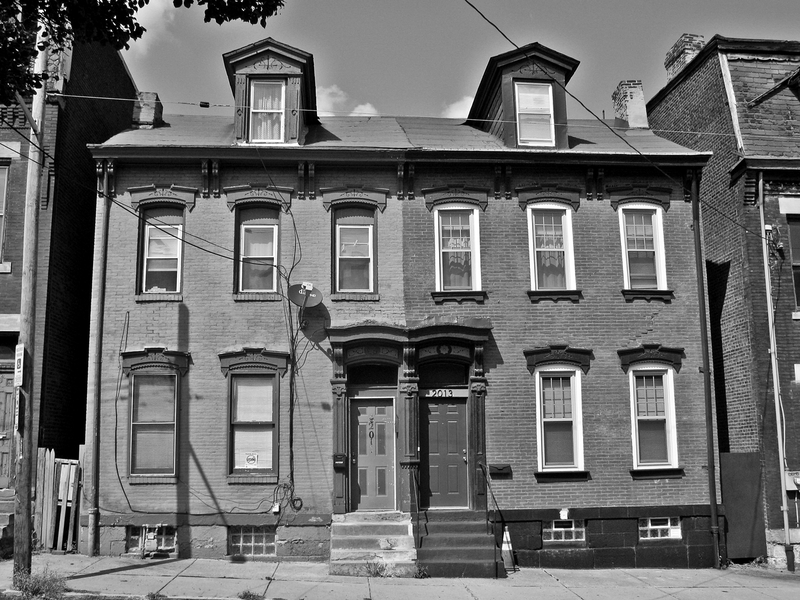 Even the beautiful surviving homes are often in extreme disrepair. There is hope that this neighborhood will see continued revitalization, and not at the expense of the fabulous old housing stock. 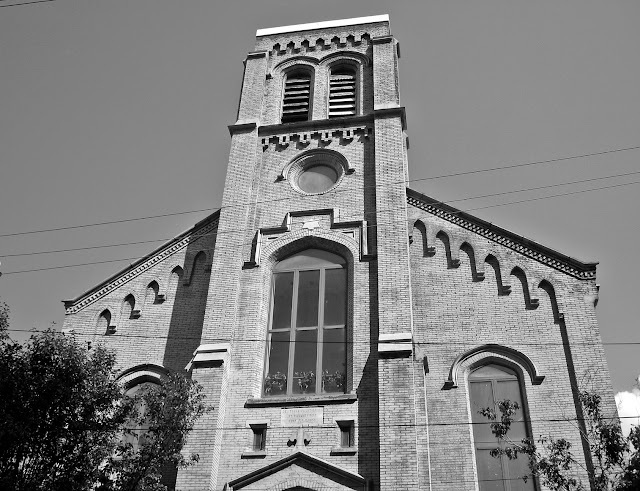 Dutch Lutheran Church on Pride Street - 1872.